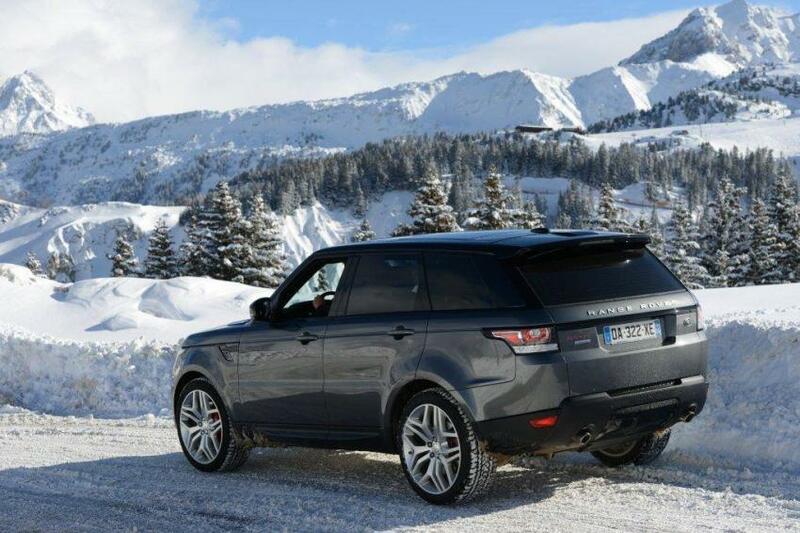 Sit back and let Luxury & Services Rent take care of your ski holiday transportation this winter. Our chauffeur service for ski trips takes the stress out of planning routes or driving in difficult weather conditions. All you need to do is book your flights and accommodation and we’ll get you, your family and your ski gear to your destination in comfort and convenience. Just sit back in the toasty, heated seats of your chosen prestige car and enjoy the breathtaking views of snow-capped peaks and glaciers. Whether you are travelling from the French Riviera or an airport in the Alps, our professional chauffeurs will get you to your ski chalet or hotel safely. Then, once you are comfortably settled, your personal driver will be available to take you anywhere you wish inside or outside the resort: the slopes, a favourite restaurant, a VIP club or event you wish to attend. Indeed, our chauffeur service isn’t limited to taking you to the ski lifts, our drivers can take you shopping, drop the children off at a ski school or nursery and pick the adults up from an après ski bar. Luxury & Service Rent’s chauffeur service is designed with your needs in mind. Our professional and discreet drivers are bilingual with an intimate knowledge of the area. They can offer invaluable advice on activities, events and entertainment and know where to buy the best tickets in town. You won’t find more attentive local guides during your holiday! Available 24/7, your personal driver can take you on excursions or simply transfer you from your hotel to the ski lifts. We are proud of our drivers who embody our professional values of punctuality, friendliness and impeccable customer service. Your family’s safety is always a priority for the Luxury & Services Rent team. That’s why we hire the most skilled and highly-qualified drivers who can handle the mountain roads in all weather conditions and keep up-to-date on the latest information travel conditions to ensure you get to your destination as quickly and safely as possible. The cars are equipped with snow chains and other features that make driving in snow and ice easier. Our chauffeur service comes in a range of Mercedes and Roll-Royce models that ensure the smoothest ride through the mountains. Our cars with drivers can transport solo travellers or large groups, including families and corporate travellers. The Mercedes S and E classes carry up to four people with two large suitcases and two cabin-sized bags, which is ideal for couples. The Mercedes V-Class and Rolls-Royce Ghost are better for families and large groups because they are spacious and can carry four large suitcases plus cabin-sized luggage. If you’re worried about space, it’s best to enquire about luggage capacity when you reserve a car. All of the models available for hire come with an array of gadgetry and in-car entertainment. If you’re planning to visit Val d’Isere, Meribel, Courchevel, Chamonix or any of the smaller resorts in between, please contact us for advice on our car rental and chauffeur service. A chauffeur-driven car rental is a smart choice to enjoy the mountains with all the freedom but none of the stress of driving. We can pick you up from the location of your choice, including Geneva, Lyon and Chambery airports. Take advantage of our simple transfers and bespoke itineraries so that you remain in the driving seat of your ski trip, even when you’re the passenger. Contact us for more information about our ski resort chauffeur service.